This Session, which built on Sessions at previous Women’s World’s conferences, was designed to fulfill two objectives. The session included presentations by researchers and activists working on specific issues affecting women who live in coastal regions, especially those mainly dependent on small scale fisheries, in both the north and the south. These presentations were designed to alert the wider feminist community to the issues women in coastal communities face. The presentations also endeavoured to point to ways in which we can foster both collaborative research and collaborative action. 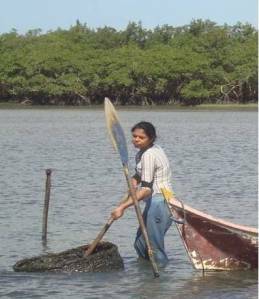 The session will also bring together members of three networks – Gender and Global Coasts Network; Asian Fisheries Society Gender in Fisheries and Aquaculture Network and the International Collective in Support of Fishworkers – to develop common analyses and strategies. Holly M. Hapke, East Carolina University, Department of Geography, Brewster Bldg A227, Greenville, NC 27858 – USA. Focused on how global economic relations within the fisheries sector have intensified creating a “global fish-food system”, using the fishery in southern India. Meryl J Williams, AsiaPacific-FishWatch, Asian Fisheries Society. Examined how women’s and gender issues are addressed in research and in national and local policies and programs in Indonesia, Malaysia, Philippines, Thailand and Vietnam, using examples from the recent 3rd Global Symposium on Gender in Aquaculture and Fisheries. Barbara Neis, University Research Professor, Memorial University. Marilyn Porter, University Research Professor, Memorial University. Reflected on globalisation, gender and fisheries and research approaches using three case studies – in Tanzania, Atlantic Canada and Indonesia. Siri Gerrard, Center of Women and Gender Research, Tromso, Norway. Looked at the situation of women having to leave the fishery in northern Norway. Poh Sze Choo, Island Glades, 1700, Penang, Malaysia. 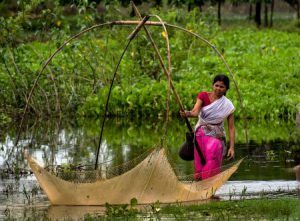 Examined whether development projects aimed at women in the fishery helped them or created more burdens. Naina Pierri Estades, International Ocean Institute, Pontal do Parana, Brasil. Discussed the recent statement, ‘Recasting the Net: Defining and Gender Agenda for Sustaining Life and Livelihoods in Fishing Communities’ developed by the International Collective in Support of Fishworkers and proposed how to improve feminist research on women in fisheries.